Gold gold and more gold! 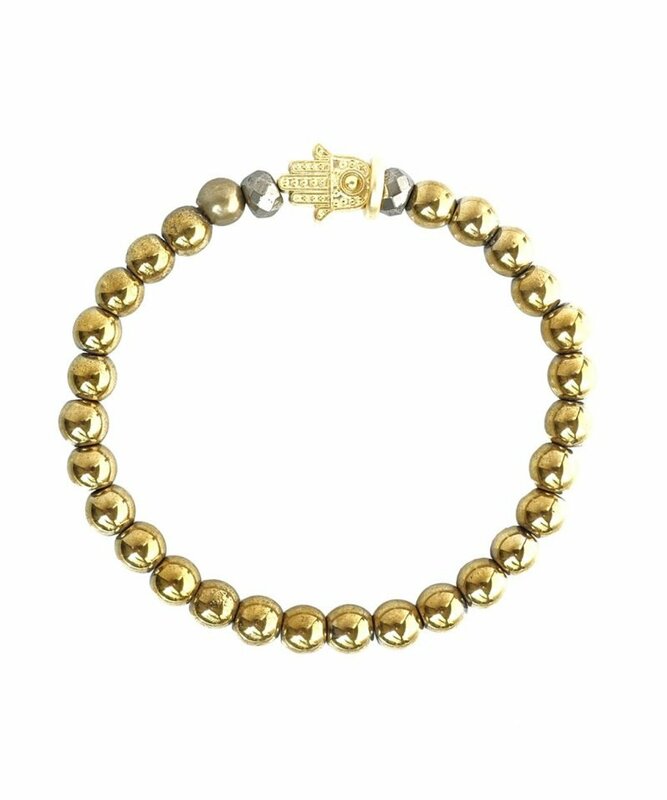 Gold hematite beads paired with pyrite and hamsa beads are perfect details on this everyday bracelet. Wear it solo, alongside a watch, or stack it up with some of your favorites. 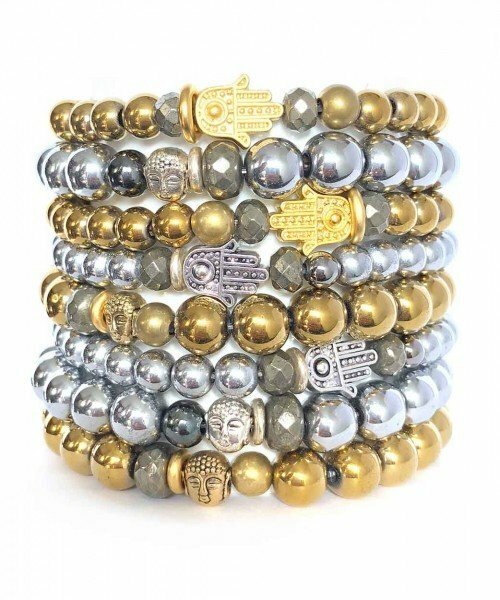 It’s a must have to warm up any Arm Party.